Bitter ex-politician Mark Latham has published an offensive and ignorant tweet about Indigenous singer Dr G Yunupingu on the day of his memorial. 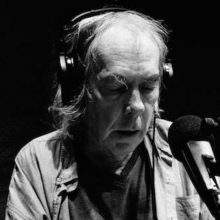 Producer John French, a veteran of Australian music history has passed away. Remember in the days of vinyl when collector's items were created due to record and cover misprints and alterations? 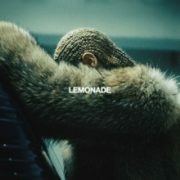 Well, those days are back with the release of Beyonce's Lemonade on vinyl. Morrissey is proud to announce the first single to be taken from his first studio album in three years. Spent The Day In Bed sees Morrissey in fine form with typically assertive lyrics sung over joyful melodies, pleading ‘Stop…Watching the news, because the news contrives to frighten you’, juxtaposing with a final refrain, ‘No Bus, No Boss, No Rain, No Train’. Robert Plant will return to Bluesfest in 2018. The first round announcement is here with Plant leading the list and the mysteriously postponed Lionel Richie and Chic shows back on the table. Linkin Park will play a special show to honour bandmate Chester Bennington who died on July 20. 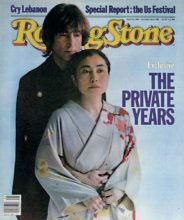 In 1967, a young Jann Wenner published the first edition of Rolling Stone with the help of critic Ralph J. Gleason. Lady Gaga has cancelled the European leg of her world due to chronic back pain. Jake Gyllenhaal has finally answered a question about his ex-girlfriend Taylor Swift, after years of avoiding the topic of his former romance during interviews. Madonna's filmed the Australian leg of her Rebel Heart tour. It is now finally on DVD. September 17, 2017 marked the 31st edition of Farm Aid, the annual charity concert in support of the American farmer that was originated by Willie Nelson and is now chaired by Nelson, Neil Young, John Mellencamp and Dave Matthews. Yothu Yindi will get back together for a show in Sydney in January woth The Herd and Baker Boy. Marilyn Manson has revealed the first video from the upcoming ‘Heaven Upside Down’ album. Grammy-winning country icon, best-selling author, actress, and in-demand speaker, Naomi Judd is set to release the paperback version of her new book, River of Time: My Descent Into Depression and How I Emerged With Hope on December 5. World-renowned guitar virtuoso, Joe Satriani, has announced the release of his 16th solo album, What Happens Next, for release January 12, 2018 on Sony/Legacy Recordings. The lead single from the forthcoming second Sam Smith album (date or title unknown atm) entitled "Too Good at Goodbyes" not only debuts at the top in Australia, but enters at the No.1 position in England, Scotland and New Zealand (so far), plus it becomes his first chart-topper down under too. The Killers will pop out their 5th album Wonderful Wonderful on22 September. They will pop up at a venue near you in New Zealand and Australia is April and May 2017. Ozzy Osbourne has stalled his plans to retire because he doesn't want to die like his father. 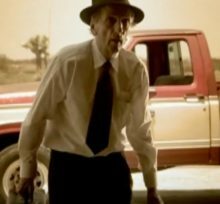 One of American’s greatest character actors Harry Dean Stanton has died at the age of 91. 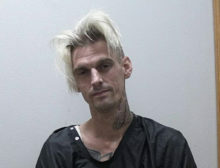 Aaron Carter has reportedly yet to admit himself into rehab, despite being urged to by health experts during his appearance on The Doctors. A Day On The Green has grouped up America’s Veruca Salt and The Lemonheads with an A-list Australian 90s rock line-up of The Living End, Tumbleweed and The Fauves. Officials at America's Lupus Research Alliance have saluted Selena Gomez for going public with her kidney transplant news, claiming it has helped them raise over $500,000 (GBP368,000). Chester Bennington's teenage son has pledged to seek help if he is struggling with depression as part of a new initiative for America's National Suicide Prevention Week.